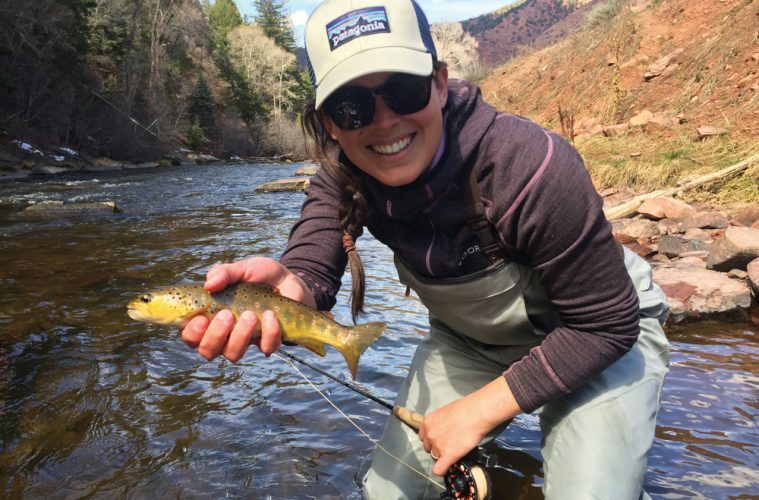 During International Women’s Day last month, we had the opportunity to talk about something that makes us very proud here at Elevation Outdoors and our parent company Summit Publishing. We are an equal opportunity employer. We do not discriminate by gender, sexual orientation, race, religion or any other category. All that matters to us is how our employees can work in the chaotic, often thankless world of independent publishing. We live this tenet. That was obvious on Women’s Day when our publisher Elizabeth O’Connell wrote a powerful note about just how many women work in and for this company. That list starts with Elizabeth herself, one of the rising stars in the outdoor world, whose work as a young, successful female publisher in this space should be getting much more attention. It also includes Digital Editor Tyra Sutak, who lives in her van and travels the world, and Senior Editor Chris Kassar, who founded a non-profit to fight to keep rivers free in Chile, and helped battle-scarred vets climb to the top of Denali. It includes our designer Lauren Worth who puts her heart into the look of each issue of this magazine, as well as art director Megan Jordan, and designer Paigelee Chancellor. It includes Leah Woody, publisher of our sister publication Blue Ridge Outdoors, our Business Manager Melissa Gessler, Distribution Manager Hannah Cooper, and our indefatigable sales executive Martha Evans, who has found time to solo hike the Santiago de Compostela pilgrimage trail in between keeping us all employed by putting ads in these magazines. It also includes our stable of contributing editors and writers who put the life in these pages. Writers like Sonya Looney, who not only knows how to pen an engaging bike adventure but also is winning endurance races and addressing issues of body perception for female athletes. And Jordan Martindell, who is currently pregnant while mothering her first child and finding ways to keep adventure a part of family life. It includes writers like Tracy Ross, whose powerful memoir The Source of All Things dealt with the pain of facing her childhood abuser and finding healing in the wild; Kim Fuller, now the co-owner of Colorado Yoga + Life magazine; and award-winning travel journalist Jayme Moye, who first wrote about women biking in Afghanistan with Shannon Galpin and began her career at EO. It also includes the stories we run in the magazine and the way we cover the outdoors—for example, our Resident Badass poll puts men and women together in the same categories, because women can be just as badass as men. Sadly, though we have worked hard to bring more racial diversity into the pages of the magazine (and we are happy to see advertisers such as Merrell footwear doing the same), our staff is still not racially diverse. That may be a function of the outdoor industry and demographics of mountain towns, but it is also something we need to work harder to improve. We hope you, our readers, can help us work to become more diverse. We want to be leading the way here. We feel it is extremely important to assert our philosophy on equal opportunity right now because we are currently in a political climate where discrimination is accepted. We should be decades beyond this conversation. And we want to stress that no matter the warped discourse of temporarily elected officials and their supporters, it will never be accepted here. In fact, we are actively working to prove the opposite is true: We enjoy working together and holding each other up.